Did The 2017 Real Estate Market Unfold How We All Expected? Did The 2017 Real Estate Market Forecast Pan Out How We Expected? With the end of 2017 drawing closer to an end, now is the perfect time to take a look at the real estate market forecast many predicted for this year and determine if it unfolded the way many had expected. At the very least, reflecting on what transpired in the last 12 months will serve as a good exercise moving forward; for it’s not until you know where you have been that you can possibly know where you are going. At the very least, there’s valuable information to be gleaned from breaking down the 2017 real estate market forecast. Almost a year ago, to the day, I sat here and told you “the trend of falling mortgage rates [is] expected to end.” Perhaps even more specifically, however, I suggested that interest rates wouldn’t only stop declining, but rather inch their way back up in 2017 — and inch they did, albeit from incredibly low levels. As we anxiously await to see what next year has in store for the housing market, one thing is certain: we can now officially say that interest rates did rise from historically low levels, and they will probably continue to do so, as long as he economy keeps moving forward. Over the course of 2016, 30-year fixed-rate mortgages averaged 3.65 percent — the lowest the annual average has been since Freddie Mac started keeping track nearly half a century ago. Now, as the calendar is about to turn to 2018, the average on a 30-year fixed-rate mortgage rested just under four percent (3.99) as recently as November. Due largely, in part, to two Fed interest rate hikes that have already been implemented and a third that should increase the benchmark index before the end of 2017, rates have started a slow climb that is expected to continue into 2018. It’s worth noting, however, that the interest rate increase we — frankly — all saw coming wasn’t enough to cripple demand in the last 12 months, and it doesn’t look like expected increases in 2018 will either. If for nothing else, the minimal increases industry experts and pundits alike are predicting won’t be enough to scare any potential buyers away. Instead, it may persuade those looking to buy to act sooner rather than later, as to get in before the small increase goes into effect. How’s that for a real estate market forecast? The amount of available housing has hampered the recovery for the better part of two years, as supply simply hasn’t been able to keep up with demand; we thought we knew that going into 2017, and we now know it to be true. As I said back in 2016, “The overall supply of homes — or lack thereof — is expected to continue” into 2017. For some perspective on the matter, the National Association of Realtors (NAR) identified 4.4 months of available inventory back in October of 2016. The most recent data puts available inventory levels at 3.9 months in October of this year — that’s a drop of a half of a month. And while that may not sound like much, six months of inventory is considered a balanced market that equally benefits both buyers and sellers. As expected, we saw already low inventory levels drop even further over the course of 2017. However, the next 12 months could usher in some encouraging statistics. If for nothing else, we have known about the lasting impact of today’s inventory levels for quite some time. Builders, specifically, have taken it upon themselves to address the issue sooner rather than later. So while enough new homes may not be placed on the market anytime soon, help is on the horizon. Those that saw fit to address the issue years ago are finding their projects nearing completion, and that’s good news for the rest of the housing market. 2018 may, therefore, kick off several years of new inventory being added to the market. I am convinced we will see more inventory added to the market this year, a lot of which will take the shape of beginner homes. You see, builders are more than aware that Millennials are expected to make of the largest portion of buyers again, so it stands to reason that a large majority of their inventory will accommodate new homeowners. Thanks, in large part, to a distinct lack of inventory and increasing demand, it only made sense that prices would continue their upward trend in 2017, and they certainly did. 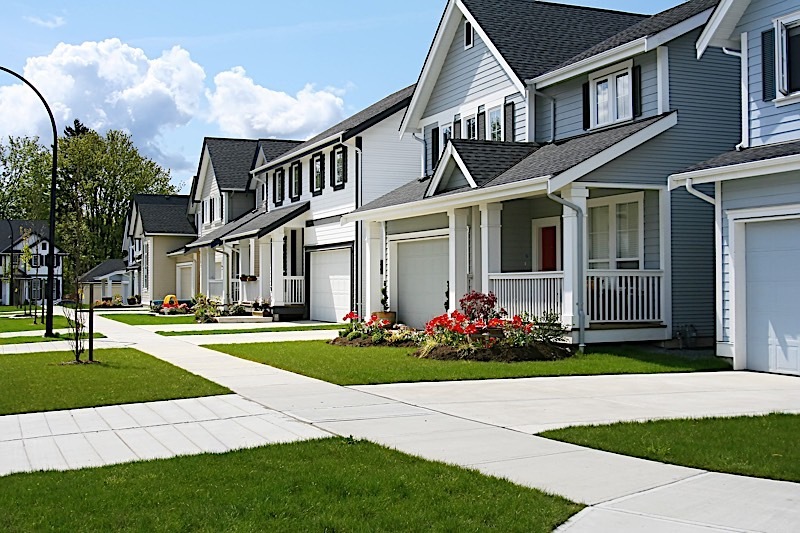 “The median home value in the United States is $203,400,” according to Zillow. For those of you keeping track, the price of the average home in the United States is now 6.5% higher than it was at the same time last year. There’s no doubt about it: home values shot up in 2017. What’s more, there’s nothing to suggest the increases won’t continue well into next year, albeit at a slower pace. The median home value in the United States is expected to rise by as much as three percent, according to Zillow. The tempering rate is likely due to the small amount of inventory we expect to see added to the market. However, as I already alluded to, most builders aren’t ready to introduce their projects to the market; they still need time to build. For now, expect the small amount of inventory added to the market to slow down appreciate rates. And perhaps in the following years we will see more inventory balance out the market. As much as I would like to lay out exactly what will happen within the upcoming real estate market forecast, the fact remains: there are few guarantees in the real estate trade (aside from the fact that there are no guarantees). However, with a bit of insight and an acute attention to detail, you can ensure that unpredictable events such as interest-rate hikes, appreciation, and inventory levels don’t leave you flat-footed, but rather primed for the best year of your real estate investing career. Interest rates were increased by the Fed three times 2017, and next year doesn’t look like it’ll buck the trend. While inventory levels aren’t quite where we want to see them, relief looks like it’s on the horizon in the form of entry-level housing. Appreciation should continue in 2018, albeit at slower pace.